Wedding season is upon us once again. In next few months most of us will attend at least one wedding. I know Tracy and I already have one marked on the schedule, because our sister Tiffany is getting married! 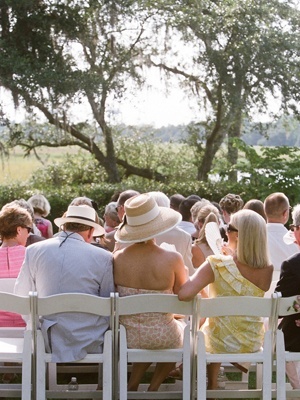 When it comes to weddings, everyone has their favorite part. For some people it is the cake, but for me it is seeing the bride. The wedding dresses are always so beautiful and the bride is styled to perfection. Everyone knows the bride will be in a wedding dress, but how are you supposed to dress for the date? First of all, how you dress for the wedding depends on the type of wedding. Is it going to be a formal wedding with all of the friends and family dressed up or an informal wedding where the friends and family can dress a little more casual? My #whattowear post for this week is about dressing for a formal wedding. I've got a couple of weddings to attend this summer and really need to get out and start shopping for something to wear...as it stands, I have surprisingly little in my closet that's good for a wedding. I love the dress you featured here. oh, may! that dress is so gorgeous! such a lovely color! Hi doll, I really appreciate your visit! This is such a pretty look, love the colour of the dress. In our wedding culture, the girls end up wearing long evening gowns and ballroom dresses! I love summer weddings & dressing up for them. Ps. I'm loving the blog changes here, it is looking fabulous! Oooh...that dress is gorgeous! Early congrats to your sister! I LOVE the outfit you picked out! I don't have too many weddings this summer unfortunately. This is such a cute outfit! I haven't been to a wedding since I was eight (I wore a very cute blue dress that I wish I could still wear...and I could still wear it, if I hadn't developed cleavage, which is kind of sad no matter how you look at it). With luck/the fact that most of my friends will be pursuing PhDs, I probably won't be attending any weddings for around six or seven years. I suppose maybe some of the people from my high school... But the vast majority of people who would invite me to their weddings are very unlikely to be getting married for a looooong time. The only engaged person I even know is my roommate, who a) won't marry till they're both graduated and b) hates weddings, so she won't have a ceremony. I don't mind weddings, but I think I'd be very distressed if I were to attend one for anyone particularly close to my age...but then again, I am still under twenty, so. Hope your sister's wedding is awesome and that y'all all have fun!